When you are looking to buy fun office accessories in bulk for your staff or individually for your desk online, don’t be too serious. Why shouldn’t we have fun with our everyday objects? While it’s important for things to be functional and useful, why can’t we want more? What if we put a little bit of playfulness in how we interact with our office objects? 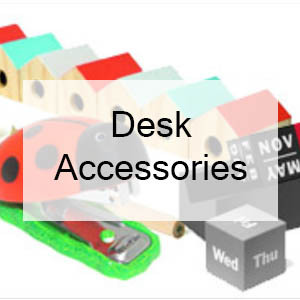 When you buy quirky desk accessories online at Little Obsessed, that’s exactly what you’ll get. We find fun office accessories that have a sense of humor; items that bring a little magic to our every day workday. We have little delights designed to inspire something big. And while we strive to keep you organized, we’ll try our best to make it fun as well. When you’re looking to buy quirky desk accessories online, you’ll find that Little Obsessed has a pretty good selection of fun office accessories and supplies as well as unique and fun office gadgets. There are micro office kits, chicken staplers, skyscraper erasers, hammer magnets, house-shaped pencil sharpeners and paperweights. We have bicycle paper clips, locker-size whiteboards and disco ball PDA speakers. There are cute little globe stress balls, desktop Zen gardens, and day-at-the-beach sand boxes. We also have a huge selection of cool paper products to spice up your work area. From fun pop-up 3D sticky notes and artistic bookmarks to pocket-size notebooks, journals and just-right gift enclosures. 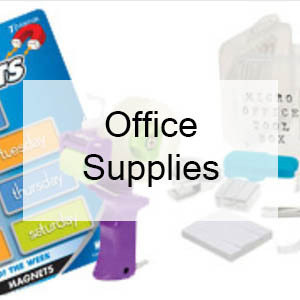 At Little Obsessed, we’ve hand-picked a selection of office accessories that you just won’t find at big box stores when you want to buy fun office accessories online. And did we mention books? When looking where to buy books online, you’re already in the right place. We have tiny tomes and petite volumes on a variety of subjects that are perfect for keeping within arm’s reach for easy accessibility. Our products make great stocking stuffers and are terrific for creating a very practical gift basket for any occasion where you want to present something interesting, useful and thoughtful -- so ask us about bulk orders if you need a lot of little things for a big group. So, in that search to buy quirky desk accessories online, we hope you’ll consider our selection of unique, eclectic, conveniently sized items. 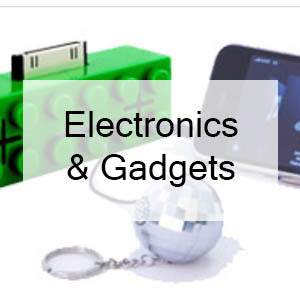 You’ll find something for everyone on your list - adults, kids, teachers, and colleagues alike!